The first thing you have to take care of are the shared folders for your media (Movies, TVshows). 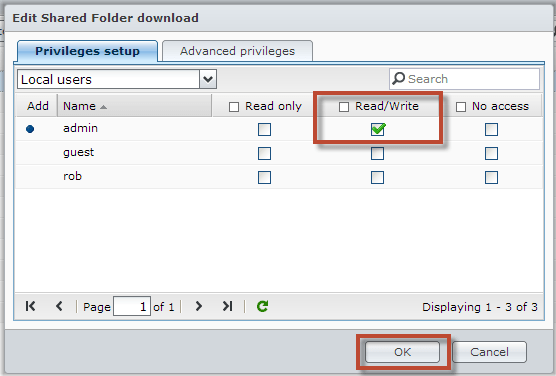 This is a easy task which you can perform in Synology Diskstation Manager (DSM). Login as admin to DSM (http://SYNOLOGYIP:5000) and open the ‘Shared Folder’ snap-in from the ‘Control Panel’. 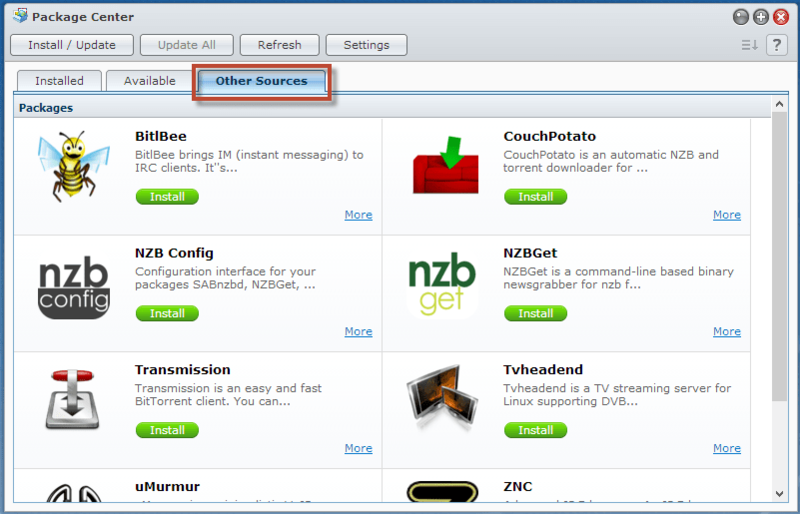 Here we going to create 3 shared folders; download (needed for SABnzbd), movies and tvshows. You can create these folders by clicking ‘Create’ and fill in the name and access permissions (set r/w for admin or another user which suits you setup). The shares are now accessible by SMB (Windows file sharing). Optional you can enable NFS on these shares, it’s not required but since I’m using a Raspberry Pi for XBMC in my bedroom it’s recommended (the RasPi has limited hardware resources and therefor the NFS protocol is more suitable). If you want to setup the NFS exports please read my post: Share media from Synology to XBMC using NFS. It’s possible to install the above applications native on the Synology operating system but thanks to the community developers these applications are available as package in the Synolog Package Center. By default only packages provided by Synology are available in the Package Center but since DSM 4.0 you’r able to add third party package repositories. The applications we’re going to use are all available in the SynoCommunity package repository (for more information about this community visit there website at http://www.synocommunity.com). So let’s add this repository to the Package Center. The first package you need to install is ‘Python’, this package is not startable but required by other packages as dependency. When the Python package is installed you can install all the other packages (I’ll discuss SABnzbd, SickBeard and CouchPotato Server in this post).